A Mobile Server is a new category of server-spec, heavy duty 4-12 core Intel Xeon based portable supercomputer with an all-in-one design with integrated display, keyboard, touchpad, built-in UPS / Battery Pack and external power supply. It supports a variety of operating systems including Windows 2012, 2008 R2, VMware ESXi, RedHat Enterprise Server Edition 6.4 and Linux. It is capable to support multiple storage devices including SSD, Hybrid and Mechanical drives in a variety of RAID configuration including RAID 0,1,5,10 to provide both redundancy or performance as required by the user. Eurocom Mobile Server technology provides fast deployment right out of the box, combined with easy relocation and no need for a server room. The ability to hand carry the system makes the EUROCOM Panther 5SE an extremely easy system to relocate while providing server capabilities. A Mobile Server serves the information needs of you and your employees from a central source. Turn the tangled mess of your businesses computing tools into an integrated all in one server for an easy to use mobile server infrastructure that can be up and running in minutes. The Mobile Server is an all in one system that results in a compact 12 lbs, 16.76 x 11.44 x 2.31 inch easily mobile server solution. It is designed for world wide deployment and easy network set up. It is easy to transport, move around and relocate as it can fit into a single carrying bag because of its all in one, compact design. We have customers using our Panther 5SE for a wide range of professional applications such as software development, mobile server operation, engineering and design, geographical information science, simulation and so on. Customers are coming to Eurocom for the Panther 5SE Mobile Server because they trust the quality, reliability, performance and capability the system offers them. 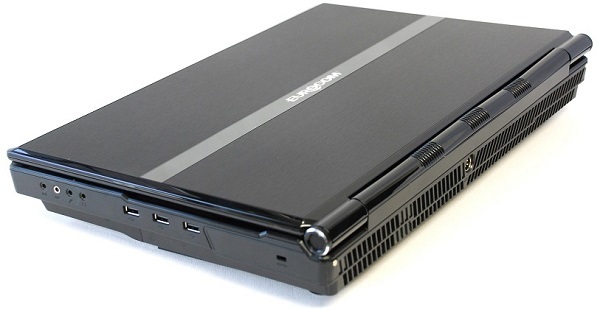 The EUROCOM Panther, which measures 16.76x11.44x2.31-2.48inch and weighs 12 lbs provides a heavy duty, modular chassis to protect the server grade components within while offering high performance thermal dissipation capabilities to ensure the internal components are kept at their optimal temperatures. 9. Can a laptop also be a server?